Fiona Argent (b. 1953), Great Britain, masters athlete, clears a hurdle just ahead of her rival. She was competing in the women's 60-64 year old 300m long hurdles event. 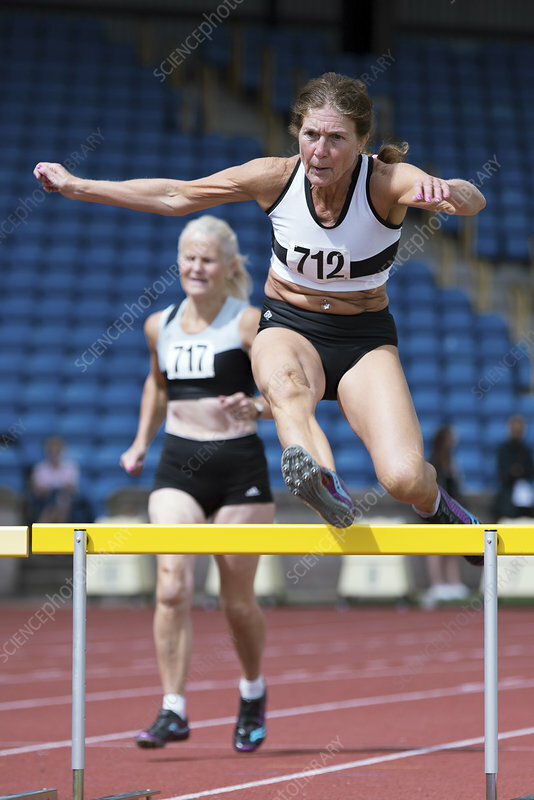 Photographed at the British Masters Athletics Federation Outdoor Championships in Birmingham, August 2014.